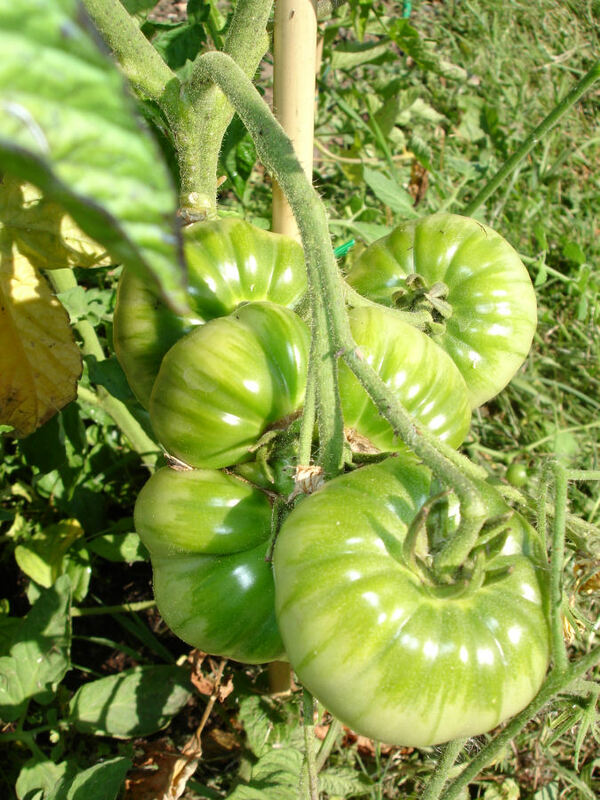 Gourmet Gardening: Can you beat the blight? Can you beat the blight? The tomato plants look gorgeous at this time of year. Green, sturdy, in flower with the first truss just setting. It's always hard to imagine in June that in a few short weeks these lovely healthy plants could be a mass of sooty rotting foliage, as the blight hits. This year, with the cool, rainy, windy weather battering our gardens, there have been reports of blight already. 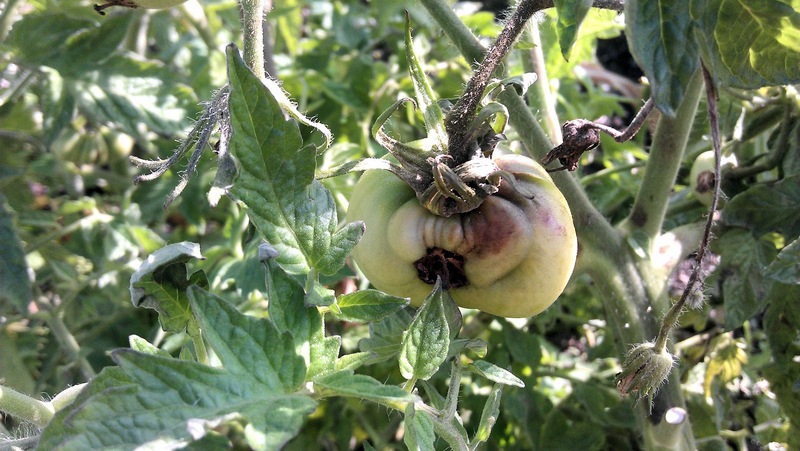 The RHS reported some early confirmed cases of early tomato blight on its Facebook page on June 14th, and then last week it came closer to home, with two gardening friends of mine in London reporting blight on their tomato plants. That might seem just unlucky, except that in this particular case I discovered that the affected plants had been bought from the same nursery. And that in one case, these blighted tomatoes had been planted out next to tomato plants raised from seed and that the home-reared plants were still healthy. 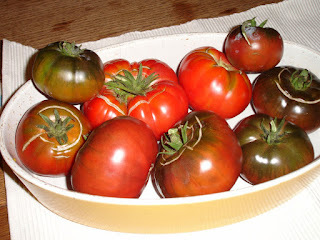 In the case of tomatoes, the arrival of blight in the UK is a case of 'when', not 'if' and even with the best of care, I reckon outdoor grown tomatoes in Britain will get blight sooner or later. But the middle of June is a bit too early to have to consign one's tomato plants to the incinerator. Tomato blight has always seemed to be unavoidable. And once you've got it, you've got it. However, this year and especially when I was researching tomatoes for the Secret Garden Club workshop on Mediterranean vegetables back in April, I've thought a lot more about how one might increase the chances of avoiding blight in the first place. 1. Grow early varieties, like Red Alert. 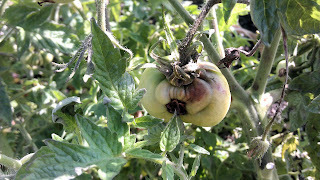 They should start fruiting before the end of June, even grown outside (disclaimer: not this year, we have a few immature fruits the size of olives so far); normally you wouldn't expect blight until July so you would hope for a month's worth of cropping. 2. Grow as far away as possible from other tomatoes. If you have any sort of choice. 4. Don't be so keen to pinch out those side shoots. 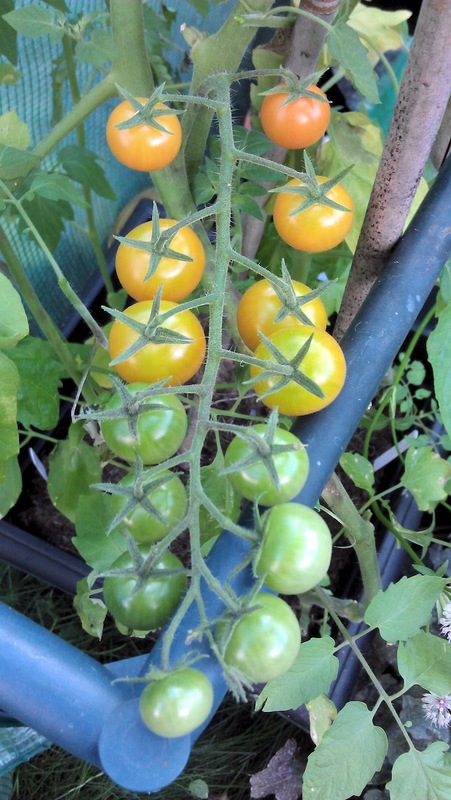 If you grow cordon-style tomatoes, such as Sungold, Ailsa Craig, Tigerella, the advice is always to pinch out the shoots that grow between the main stem and the leaf stems. Leave them in, they say, and the plant will become wildly bushy and grow a mass of leaf at the expense of fruit. Over the years though I've come to think that maybe the over-enthusiastic pruning of side shoots is unhelpful. Every cut creates a wound; every wound is an opening into which blight can penetrate. My most blight-resistant tomato ever was Broad Ripple Yellow Currant, a bush variety which tumbled about all over the place, but which never succumbed to blight. Last year I semi-forgot about trimming a Marmande (semi-indeterminate, or not-quite-cordon) in the greenhouse and while everything around it eventually turned black and crumbled, the Marmande soldiered on. I'm sure it would have produced more fruit if I had pinched, and pruned, but we were still picking tomatoes off the plant in early December. 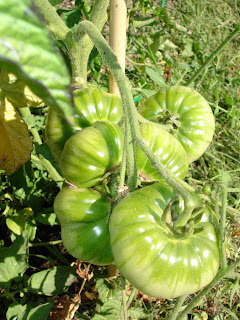 (Although a Marmande that ripens in November tastes nothing like a Marmande that ripens in August.) I can't find any references that suggest bush or untrimmed varieties are more blight-resistant; this is anecdotal evidence only. 5. Try grafted tomatoes, or even better, graft your own. This is my secret weapon in the battle against tomato blight. The idea is that you take the top of one tomato variety and graft it to the root and stem of another - with tomatoes you would choose a 'top', or scion to give it its proper name, which would give you lots of delicious fruit, and a root and stem, or 'rootstock', which is known to be disease resistant. The rootstock confers this resistance to the scion, which continues to produce its delicious fruit as before. In other words, you get the best of both worlds. Fruit growers have been grafting for decades, although more usually in their case, the rootstock is chosen to control the size of the mature tree. This is how you are able to grow apple or pear trees, say, which never grow taller than 8-9ft and yet are laden with fruit. The apple or pear tree 'top' has been grafted on to the rootstock of a much smaller tree (often in the case of apples and pears, a quince rootstock, as it happens). Tomato grafting is fiddly rather than difficult. We showed Secret Garden Club attendees back in April how to graft tomatoes - detailed photos and instructions are here - and the initial results are looking good. I'm already planning to graft more tomatoes next year to give them more of a chance to beat the blight. Any more blight-beating tips would be most welcome - I suspect a combination of tactics is the strategy that will work best.